In our search for the cheapest tickets and easiest booking, we’ve reviewed all of the options for buying train tickets for Spain — from the official Renfe site to a number of private portals. While Spanish trains in general are a pleasure to ride, the national train company’s own website is full of problems (error messages, declined credit cards, odd translations…). And as we’ve found for France, Italy, and especially when crossing mainland Europe by train, there are better ways to book online, and our favorite booking portal is the same for Spain. We’ll discuss all of ways that you can book Renfe tickets below, but our top pick stands well ahead of the pack; Spanish people in the know are also starting to use it instead of the national train company’s site. This article was published on Nov. 2, 2017. It was thoroughly updated on August 23, 2018. 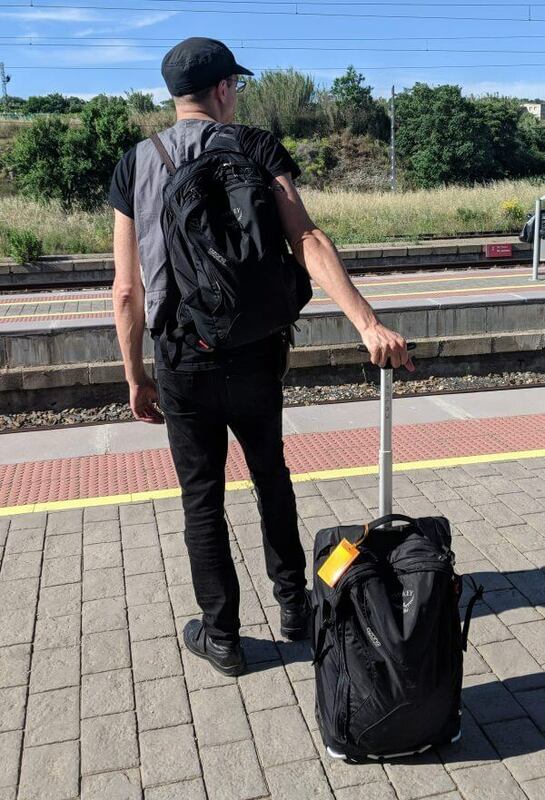 Yours truly, on an actual Trainline-ticketed trip in Spain with my favorite wheeled carry-on backpack. We’ve tested out all of the top ticketing portals and comparison shopping websites for train tickets for Spain and the rest of Europe, and unlike with many of the articles we write, this one was not a difficult choice. Trainline outperforms the private portals for routing (and unlike many, doesn’t add fees) — and is better than the national train company’s own website by quite a lot. Trainline merged with CaptainTrain in 2016 and has since then been the leading portal for train tickets for Europe. This gives it more data and resources, so it’s not so surprising that it tends to offer the better routing and makes pretty good order out of the mess of conflicting European national rail systems. Trainline gives the same prices as when buying from Renfe (and is, on occasion, cheaper): Trainline gets its money from a commission from each train operator, so it can offer the same prices as you’d get on the official Renfe site, without booking fees or other sneaky markups, as happens on some other private platforms. The same is true if you’re booking tickets on Trainline for France, Germany, Eurostar (Paris to London), Italy and more. Since Renfe’s booking system isn’t particularly smart, to say the least, it can actually charge you more for complex routes within Spain than Trainline does. Trainline shows combo bus/train options that can save you money and help you reach some places not accessible by train. Especially if you’re crossing borders, the Renfe site has too many errors to be useful. In many cases we were unable to actually select the tickets for purchased that the Renfe website claimed to offer. Trainline comes up with great options for international routes across Europe — in one of our recent tests it was able to find the best and cheapest way to get from Madrid to Berlin purely by train. This is something that no national operator’s search options were able to even provide. Trainline’s website is smooth and functional. It is in (real) English, accepts foreign credit cards (Visa, MasterCard, American Express, and PayPal), and is well-designed and streamlined. Quality, fast customer support: Trainline emphasizes its advantage in this regard, as a hand to hold for navigating the complex European systems should something go wrong. 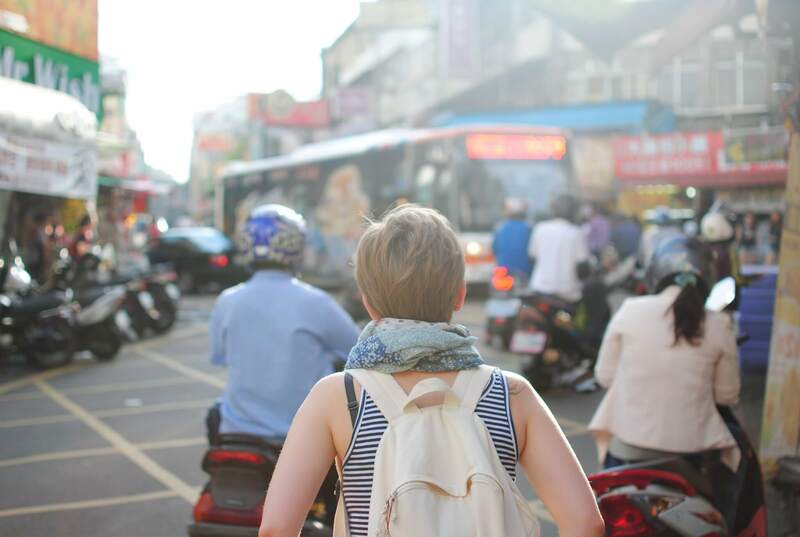 Their service is not at the level of, say, a mom-and-pop travel agency that will talk to you about what to see in Madrid or Barcelona, but it is much better than the national train companies and private ticketing portals. 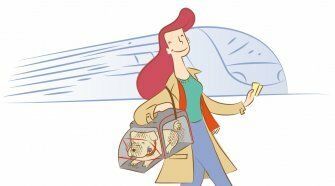 Easy cancellations: If you purchase a ticket that has a refundable option, you can take care of this directly and easily through the Trainline website instead of having to deal with Renfe. 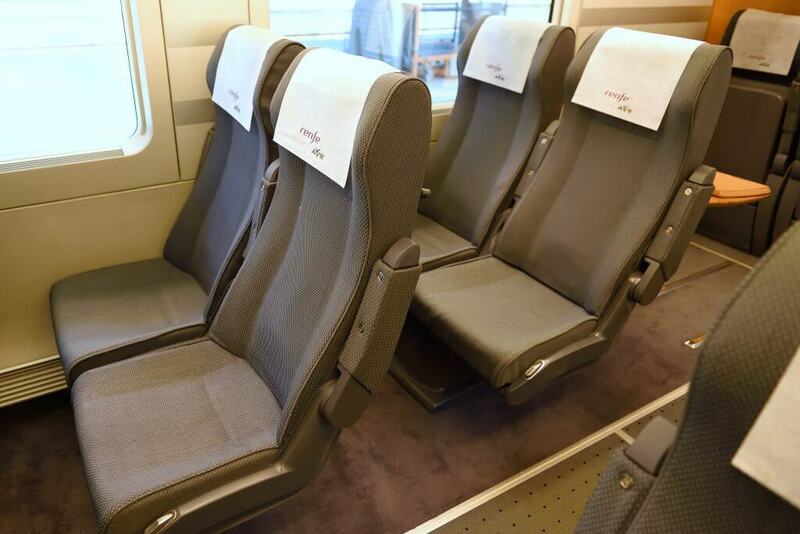 Second-class (“turista”) seating in a Renfe fast train (AVE). Photo by Tim Adams. Indicate seat preferences and class: This is a key way that Trainline beats out private portals; it offers the choice of aisle, window, or solo seats when available, and to choose to face the direction of travel. 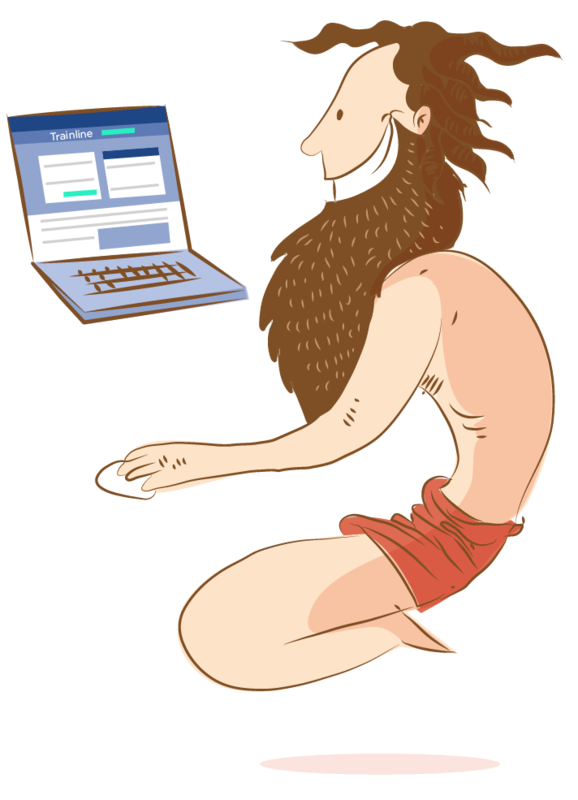 No ads: Unlike other private portals, there are no pop-ups or other pitches for hotels, rental cars, and the like. 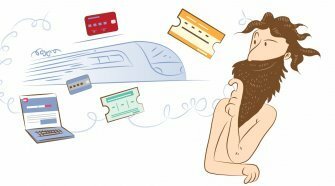 You’re there to buy tickets and Trainline makes it seamless, without trying to sell you extras. There are three downsides we still note with Trainline. Trainline currently doesn’t have a flexible dates option to show you prices on various days— though neither does Renfe or other other options for train tickets for domestic travel in Spain. Trainline doesn’t have the “mesa” option that is offered by Renfe to order for 3-4 people seated together at a table. Small fees for a few other countries: While tickets for Spain, Portugal, France, Germany, and most other major railways don’t cost you any more than what the train companies charge themselves, you will pay a slight markup more for tickets from Trainline for the Benelux countries, Austria, Denmark, and Czech: typically 1-4 euros. Balancing that out is the fact that these countries websites are also very inaccessible to foreigners with foreign bank cards. 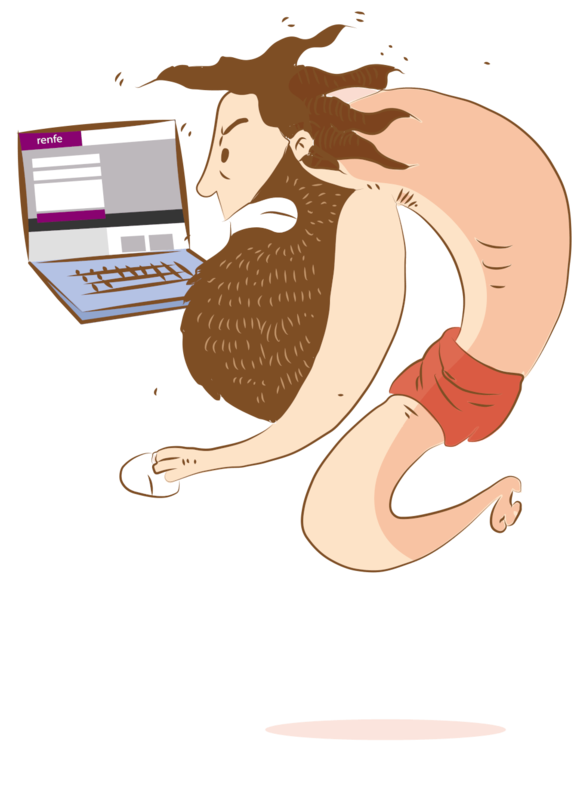 We’ve discussed above why the Spanish train company Renfe is such a pain for booking train tickets. It doesn’t hurt to double-check their site, but Trainline connects directly into Renfe’s system and in all of our tests was able to offer exactly the same prices. The French national train company’s website, OUI.sncf (formerly “Voyages-SNCF”) doesn’t tend to work so well for Spain, and we’ve previously discussed the problems foreigners have with using it even for France itself. But OUI.sncf can be OK for booking from Barcelona to Paris or Lyon, especially if you speak French and manage to not get rerouted to the sister site RailEurope, which has much higher prices and annoying ads. To ensure you stay on OUI.sncf: Do not accept changing to your “local” site if prompted, and do not choose “Rest of the world” as your language option. Choose “Europe (other countries)” if you want to attempt to use the site in English. If you are going from Spain to France on a single simple trip, the “flexible dates” feature on OUI.sncf can sometimes be useful to show you which date to travel on. However, we generally got fatal error messages in our most recent tests when we tried to continue through the OUI.sncf booking process for trips starting or ending in Spain. Ultimately we went back to our top choice portal to actually book. Loco2 is nearly as great as our top pick, and generally has the same prices (they had a fee but it’s now been discontinued). For Spain Loco2 produces pretty much the same options as Trainline. So we think it’s a fine choice, but in our tests with complex routes involving various countries, Trainline performed better than Loco2 — the routes it proposed were cheaper, shorter, and with fewer changes. We’re keeping our eye out for improvements; this is Trainline’s main competitor and definitely a quality booking platform. Rome2Rio has a useful search mechanism that compares anything you could dream of: driving, buses, planes and trains. 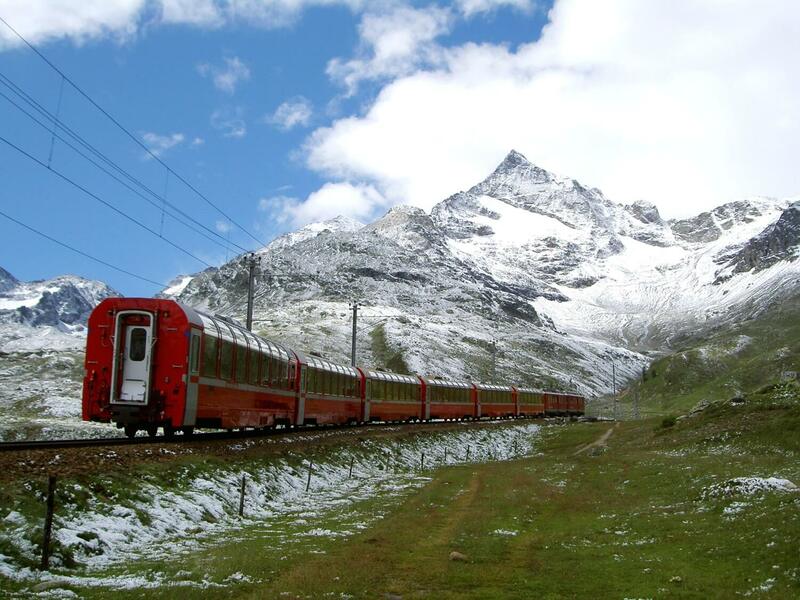 It doesn’t have complete train routes, however, and tacks on a booking fee. You could give it a try if you’re undecided between flying, buses, trains, etc. 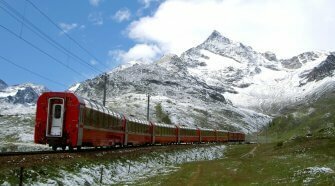 Omio: This site also has a cool comparison of planes, buses and trains for some Spanish routes. But its coverage is much less complete for trains compared to our main pick, especially for complex routes and crossing borders. Plus, it tacks on a small service fee for train tickets. Petrabax: This is Renfe’s partner for the USA. It’s not as convenient as Trainline, however, even if you’re American. The website produces odd error messages and city names are not always in English. In our tests, its tickets cost much more. It also tacks on an extra service fee that you can avoid with our main pick. Our tests found Trainline to be the overall best bet for convenience, routing options, and prices for train travel in Spain. Loco2 and Omio came in second and third, and we hope to never have reason to go back to Renfe for buying tickets unless the site gets a major upgrade.